A Place for Men and their Manliness. Keep your booty all to yourself with this handsome handmade puzzle box. 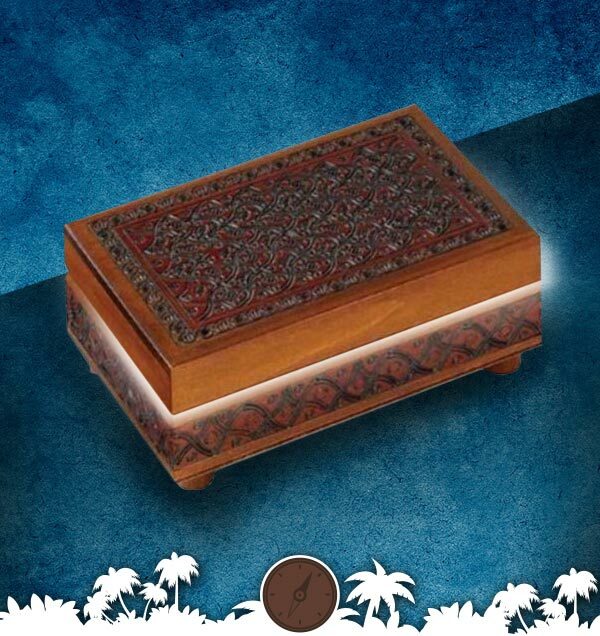 Store your treasure away from prying eyes and dumb brains inside its velvety interior. Made in the mysterious Tatra Mountains, these boxes are entirely crafted by hand, using various combinations of carving, brass and copper inlays, burning, and staining techniques. Your gold doubloons will never go missing again!